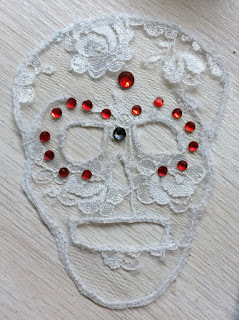 A lace skull can be used to create a rockabilly look for that dress or garment in your closet that you need an excuse to wear. 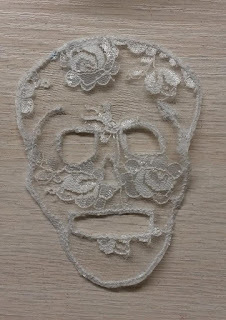 I took a very simple dress that has been sitting on my clothing rack for a while, I added a halter neck strap and waistband to give it a more vintage look, but to give it an awesome alternative, rockabilly twist I decided to create a lace “sugar” skull to appliqué onto it. 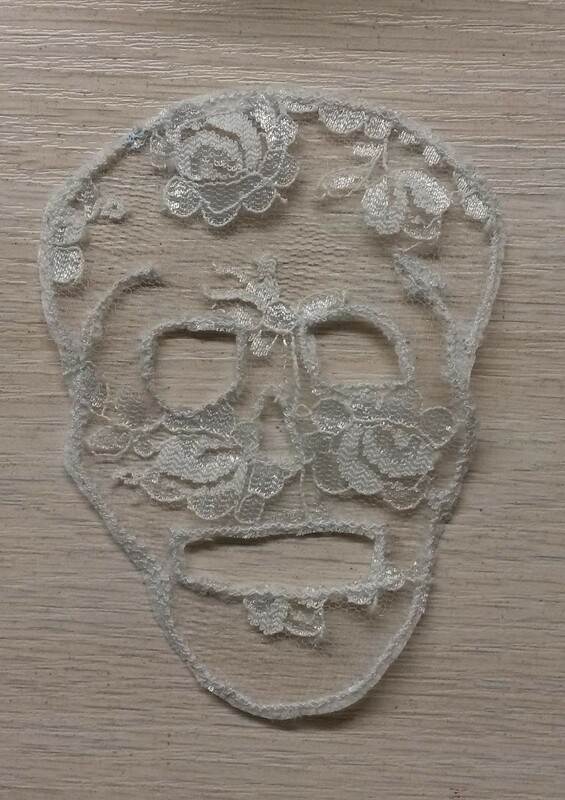 Appliqué is the process where a small piece of fabric is added onto a larger piece of fabric to create a decorative feature. 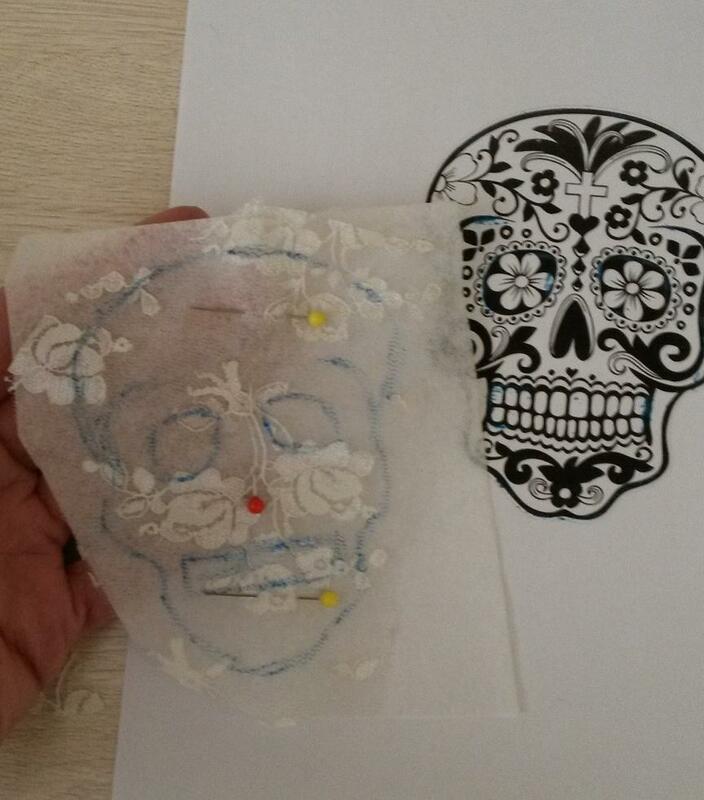 I printed a black and white image of a sugar skull to use as a stencil. 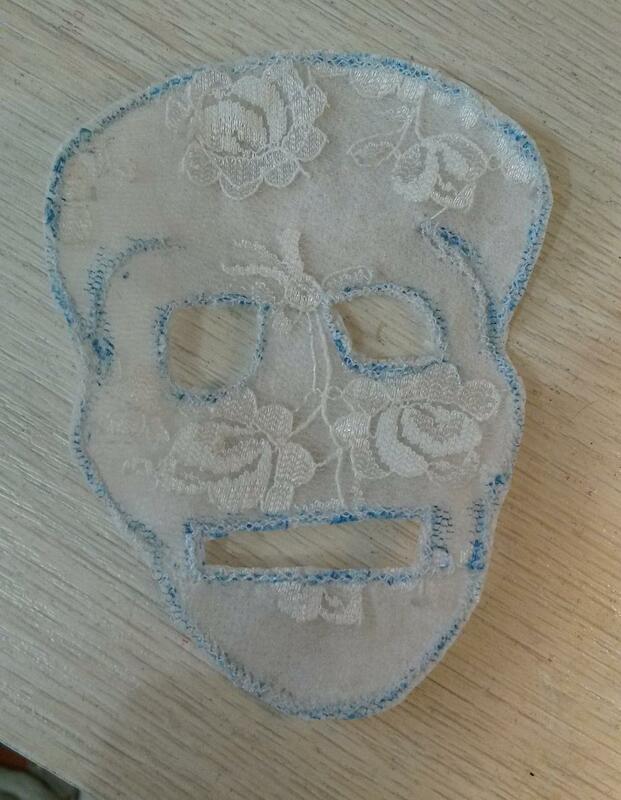 I then traced the outlines onto a piece of tear away interfacing. 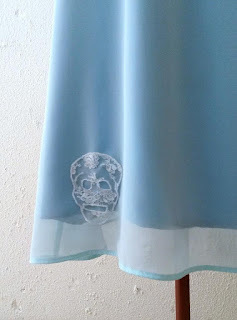 Pin the piece of lace of your choice over the traced lines on the interfacing. 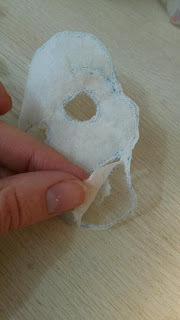 I set my sewing machine to the smallest zigzag stitch and used this to sew over the lines I had marked, sewing the lace to the interfacing. I went over the lines twice. 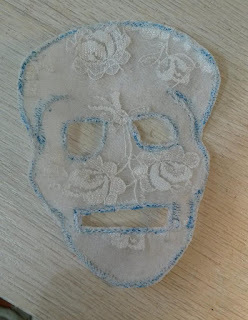 I trimmed the excess lace away from around the shape of the skull, I then cut out the eyes, mouth and nose. 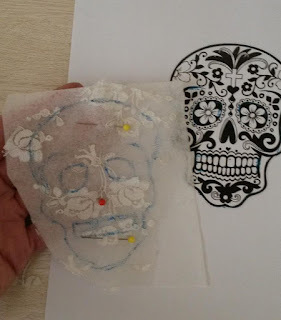 Tear away the interfacing, and wash or iron away the traced markings. Your lace “sugar” skull is now ready to add to your garment for that alternative look! 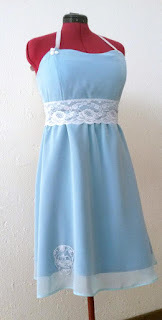 You can even add rhinestones or beading for a little something extra!